On our site you'll find a list of villas in Labin and Rabac area at affordable prices - including guest reviews! Through the search engine, you can specify exact number of people, type of accommodation and specific travel date. By doing so, you are one step closer to your ideal house. You can make a reservation online via our website, or send a non-binding inquiry. 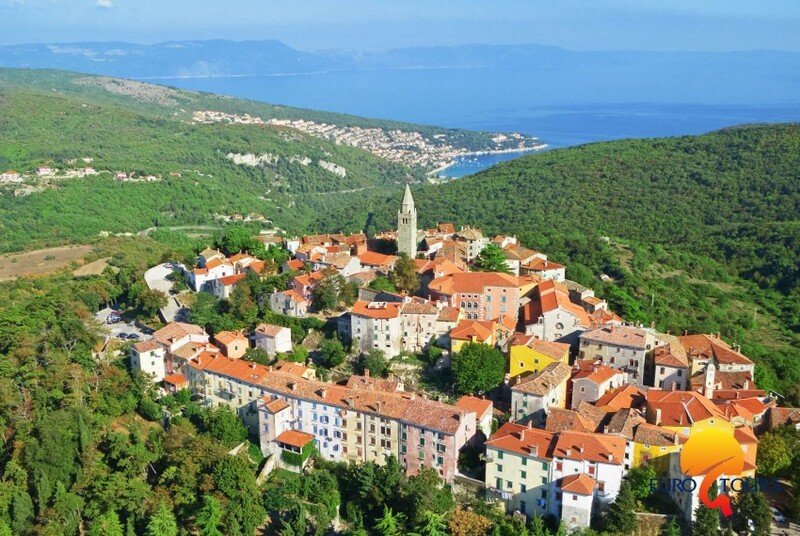 Labin and Rabac are located on the eastern coast of Istria, where the green hills meet the sea and where the artist's paradise is located. In the eastern part of Istria, on a high hill above the sea, lies the city of Labin. It's a city with rich history and culture - today also known as "The city of galleries and artists". Rabac is a tourist center with many apartments and hotels located just few kilometers from Labin. Rabac attracts tourists from all over the world for its clean sea and beautiful sandy beaches. Enjoy the unique beauty of almost untouched nature! The peninsula of Istria or also called "Terra Magica" is located on the Adriatic. In the eastern part of the peninsula of Istria, where the green and the pine go over to the blue sea, lies Rabac. Rabac is one of the most visited summer resorts in Istria and Croatia. Above Rabac lies the old town of Labin, the stage of millennial history. 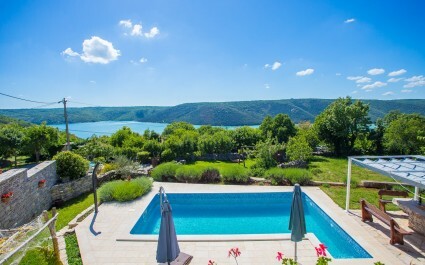 In the immediate vicinity of Labin, in beautifully landscaped villages, you will find numerous holiday homes, villas with pool, stone houses and apartments to rent. There are also numerous holiday homes in Sveta Nedelja, Plomin, Kršan and Koromačno. Sveta Nedjelja and Sumber are located above the evergreen ravine of the Rasa River. This area was home to the powerful nobles who built their castles and country houses here. Some of them are renewed today and open to visitors. In addition to historical and cultural attractions, the Labin area offers the opportunity to enjoy the unique beauty of almost untouched nature. Hot and welcoming residents have opened their homes in recent years and offer guests a rich selection of apartments, villas and villas with swimming pool that breathe perfectly with this stunning and tranquil landscape. Plomin is a place with great stories and a beautiful landscape that preserves a rich history. Plomin or Flanona lies above the blue-green bay and oversees the entire Kvarner. Today, Plomin maintained a close connection to the rhythm of nature. Visitors to the cottages in Plomin, Kršan and surrounding towns will find their beach, restaurant or beach bar in Plomin Bay. A wide range of private accommodation, holiday homes and villas with swimming pool can be found in Koromacno, Trget, Sv. Marina, Skitaca and Vlakovo, located above the bay Raski, offer a magnificent view of the Kvarner islands. In the spring and summer months, visitors of Labin and the surrounding area have many opportunities for sports, basketball, football, tennis, scuba diving, sailing, fishing, running, cycling .... On the beaches in Rabac there are sports centers where you can Rent equipment and enjoy the range of water sports. Due to its location Labin is an ideal destination for excursions: explore the interior of Istria (Učka Nature Park, Pazin, Kršan, Motovun ...) or sail by boat to the neighboring islands of Cres, Lošinj, Krk or Susak.